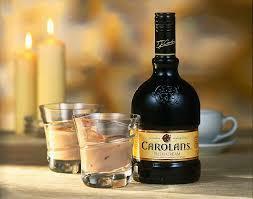 Carolans is produced in Clonmel, situated in the Golden Vale, known for its cream. Handy. Clonmel meanwhile comes from the Gaelic 'Cluain Meala', meaning Valley of Honey and local honey is also used. Double handy. In fact, none of the ingredients for this Irish Cream come a long way to Tipperary.
" 4 STARS (out of 5) HIGHLY RECOMMENDED SPIRITS JOURNAL. Lovely beige color; delicious and aromatic; cocoa like aroma is a standout; the silky, rich texture is almost like melting ice cream. Gift Set includes two glasses."